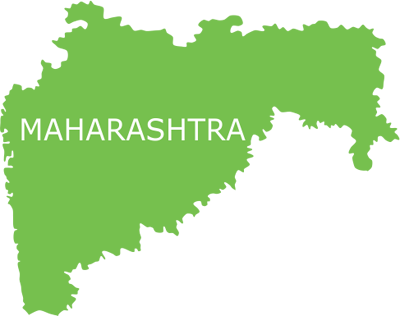 Over the last three decades, Pune has grown into a major industrial centre and is now emerging as a hub of many information technology companies. Due to rapid industrialisation, people from different parts of Maharashtra and other Indian states migrated to this metropolis for livelihood. Their low income level and high real estate cost in Pune forced these migrants to live in squatter settlements across the city, contributing to the increase in its slums. As per provisional figures of Census 2011, nearly 22% of Pune’s total population of 3.1 million live in slums; however, recent studies suggest that its current slum population is at least 1 million (i.e. 40%). As per Pune Municipal Corporation (PMC) reports, there are 353 declared and 211 undeclared slums in the city. A major percentage of these slums suffer from degraded physical environment due to lack of basic civic amenities like proper housing, sewage and sanitation, toilets, drainage system, garbage disposal and safe drinking water. Such deplorable living conditions, along with factors like poor hygiene and lack of education, make these slums a hotbed of communicable and vector borne diseases like typhoid, malaria, dengue and tuberculosis. Poor economic status of slum dwellers, working as labourers in service or construction industries, makes it onerous for them to spend their meagre earnings on healthcare solutions. Smile Foundation has joined hands with Philips to address such pitiable health conditions in the slums of Pune. Under this intervention, the underprivileged are provided free-of-cost preventive, promotive and curative healthcare services through Smile on Wheels – a unique mobile hospital programme. Staffed with a team of medical experts and community mobilizers, the SoW vehicle is deployed in 20 slums across Pune. The targeted locations include Yerwada, Pune Upper, Kharadi (Chandan Nagar), Hadapsar, Vishrantwadi and Janata Vasahat. The services provided include OPD, first aid, ANC/PNC, immunization, minor surgery, X-ray, BP examination, pathological tests and medicine distribution. Referral services are also provided to patients with serious threat to health for institutional care at any of the government or charitable hospitals. Women and children, being the most vulnerable because of the attitude of the society towards them as dependants, are given special attention throughout the intervention. Through a series of IEC activities, health camps, school health programmes and community meetings, the underprivileged families and children are also introduced to health-seeking practices. At least 1.5 lakh beneficiaries to be reached directly in a year. Every month, around 1500 men, women and children are provided medical consultation, diagnosis and medicine distribution services during regular OPDs in 20 slum areas. Special health camps conducted on de-worming and health profiling (height, weight and HB test) for better healthcare of the younger generation. Several school health programmes, group meetings, IEC activities and street plays have been organised to sensitise families and children on personal health and hygiene. Community meetings and health talks conducted to educate the underprivileged women on ANC/PNC, immunization and other pregnancy-related issues. Referral services provided to patients who needed institutional care.